Despite the challenges of having a split shift for its Junior and Senior students who go to school for four hours daily since the passage of Hurricane Irma in 2017, the Elmore Stoutt High School Inter-House competition returned on March 27, with Flemming House dethroning defending champions Lettsome House, for their record 16thoverall title. There was no championship in 2018. Flemming, who last won in 2013, amassed 545 points to end Lettsome’s streak that began in 2014 at four, as they only mustered 482 points. Carlisle was third with 357 followed by O’Neal with 331. Acadia Frett of Flemming House was the 13 Girls and Under Division champ with 32 points, while Jabari Pemberton of Lettome amassed 30 as the Boys top scorer. Lincoln’s Khybah Dawson and Lettsome’s Jelani Croal were the Boys winners with 30. Kenyatta Grate finished with 36 points for the U17 Girls title with Jaleen Croal taking the Boys with 40. Letttsome’s Leanne Connor finished with 32 points for the 18+ Girls Division title while Flemming’s Keondre Campbell’s 30 topped the 18+ Boys. 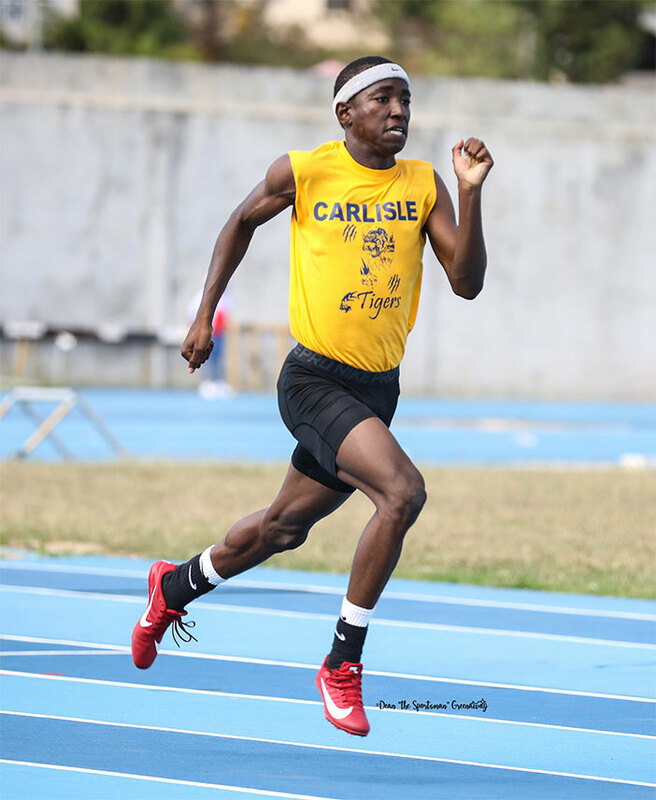 Carlisle’s Jaleel Croal and Flemming’s Kenyatta Grate, were the Victor and Victrix Ludorums with 40 and 36 points respectively. While it was the 47thedition of the event in the history of the combined BVI High School that began in 1968 and Elmore Stoutt that came to fruition in 2008, the ‘Sports Day’ tradition began at the Virgin Islands Secondary School in 1957, after being introduced by Carlisle Scott.